Hillier Engineering Services is a family owned and operated CNC and Manual machine shop located at Acacia Ridge, Brisbane, Australia. 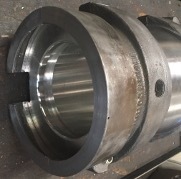 Hillier Engineering Services was established in 1988 by John and Ray Hillier who with their staff are very experienced, and highly efficient, in both CNC and Manual Machining, and Fabrication all in house. 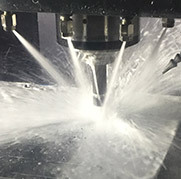 Our company prides itself in offering Precision CNC Turning, CNC Milling, CNC Wire Cutting, CMM Inspection, Manual Milling and Manual Turning for our Brisbane, Australia and International clients, using the best of machining equipment. 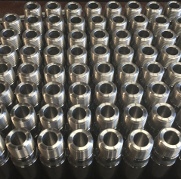 We use the latest machining technology, and have developed our own computer manufacturing database, “Tracking Manufacturing” to ensure our clients requirements, and delivery times are achieved at all times. We specialise in CNC and Manual machining of castings, forgings, fabrications and bar stock in all metals for many industries in Queensland, Australia and Overseas, with the flexibility to handle both small and larger size batch quantities. All our employees are highly skilled and have a wealth of knowledge and experience in machining practices, this is why Hillier Engineering Services remains a highly successful, and respected machining business in Brisbane today. We are extremely proud of all our employees, the majority have been with our company for well over 10 years. We know that on time delivery, quality, safety and competitive pricing is extremely important to our cliental. Our company is managed, compliant and operational to ISO-9001:2015 standards. We strive at all times to meet our client’s specifications of quality, and on time delivery. Our friendly competent staff are here to help with whatever machining requirements you have. Look no further as, “We Never Comprise on Quality”. Hillier Engineering Services was established 18th March 1988, by Ray Hillier. The business was then located at 5 Project Street, Salisbury Brisbane. The company started with 1 manual centre lathe, 1 Bandsaw and 1 Milling machine. Starting a new business during these times was tough with interest rates at record highs of 18%. The company was producing basic component’s as well as high precision items and hydraulic cylinders for the agricultural industry, heavy haulage industry. By 1990 HES had invested further in plant and equipment. The company now had 4 centre lathes and 3 milling machines, plus a radial arm drill and drill press. Hillier Engineering Services was awarded a contract to manufacture 20 Electro Head Assembly Vessels for Minproc Engineers who were the project managers for Ticor Chemical Company plant. Ticor Chemical Company was a Gladstone based company that produced the dry form of sodium cyanide used for the extraction of gold in Australia. This project kept Hillier Engineering Services busy for the following two years. Hillier Engineering Services was heavily involved in the reverse engineering and redesign of this equipment that made the vessels far more superior than the original design and against world competition. 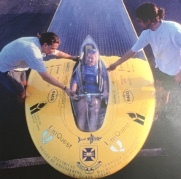 During 1992 the company had already trained its first apprentice. The company by this time had well and truly outgrown the premises at 5 Project Street Salisbury and in December of that year relocated the business to 15 Bradman Street, Acacia Ridge, Brisbane. 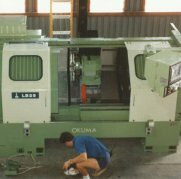 During the move the company acquired its first CNC Okuma Lathe, the LB-25. 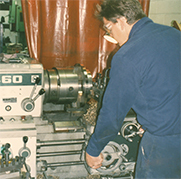 During that time Hillier Engineering Services took on machining work where there were one-offs produced, such as the machining of cast cooper T piece. By this time Hillier Engineering Services started to expand further into CNC machines to increase its machining capacity. Hillier Engineering Services sponsored and helped The University of Queensland Sun Shark Solar Car team by donating our machining and technical services to the team. 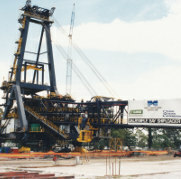 In 1996 Hillier Engineering Services won a large part of the machining component contract for the Dalrymple Bay Coal Loader which was a joint venture between Clough Downer and Evans Deakin. 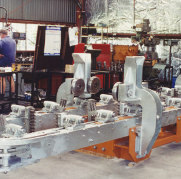 This photo was taken at the Port of Brisbane, where the machine was fully assembled prior to it being shipped to Dalrymple Bay located on the Queensland’s central coast. 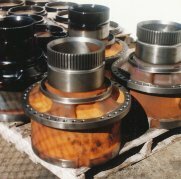 Hillier Engineering Services won the contract to machine Brake Housing Castings for Caterpillar during the 1996-1998. These Brake Housings were supplied as raw high strength, high quality castings. In 1998 Hillier Engineering Services was awarded the contract to machine and fully assemble a special purpose built coal scrubbing machine. The machine took 5 months to manufacture and assemble. 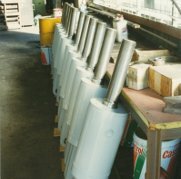 Hillier Engineering Services manufactured, assembled and pressure tested special hydraulic crusher cylinders used to crush large rocks in the mining industry. 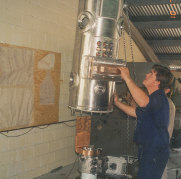 In 2001 Hillier Engineering won the contract to produce a total of three un-coilers. HES was involved in the machining of components and the assembling and testing of each machine. 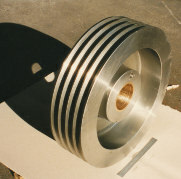 This is a special Vee Pulley HES fully machined from a solid billet steel. The diameter of this pulley is 600mm. 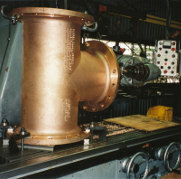 This was one of many quality machine components Hillier Engineering Services manufactured during that year. Hillier Engineering Services machined this Digester shaft by utilising its CNC Turning and Milling machines. 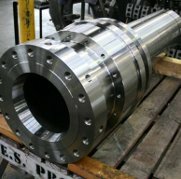 This shaft was machined from a high grade stainless steel forging. This shaft is great example of the high quality and standards our machinists are capable of. 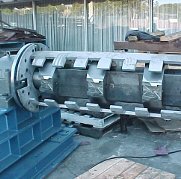 2007 saw Hillier Engineering Services machine a series of expander cones for its client’s steel un-coiler machine. The PB-1 bronze brush was a shrink fit using liquid nitrogen to shrink the bush into the housing prior to finishing machining the component. 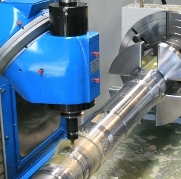 CNC machined precision shafts are a feature what Hillier Engineering Services can produce. 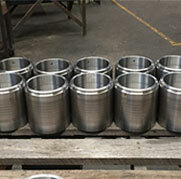 These shafts are machined from 4340 material, specially heat treated to our clients’ requirements. 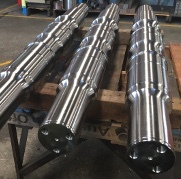 Machining shafts with large radius and different stepped diameters are easily achieved when you have the right machine, tooling and highly skilled machine operators to produce quality precision shafts of this type. Split white metal bearings are not an easy component to machine. Hillier Engineering over many years has gained a great deal of knowledge and has perfected how to successfully machine such components for many different customers. HES invested in new capital equipment: a Bed Type Mill complete with a CNC Programmable head and Large 4th Axis. The machine increased our machine capacity to 3000mm x 1000mm x 1500mm. The machine has a table weight capacity of 7000kg. 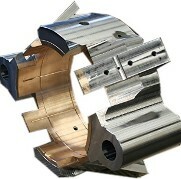 During 2012 Hillier Engineering Services continued to produce many CNC machine components. Our CNC machines have the versatility of combining both turning and milling operation in the one setup. Hillier Engineering Services machines a number of spiral grease grooves in LG-2 spun cast bushes using its 4th axis CNC milling machine. 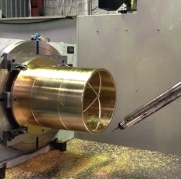 Hillier Engineering Services utilised its large bed type CNC machines to successfully 3D machine a Link Arm which, when completed, weighed 1530kg with an overall length of 2160mm. HES committed to improving our efficiency with the final inspection of finished machined parts. To achieve this we have upgraded to a larger portable Co-Ordinate measuring machine. Not only does this give us very accurate measured results, we now can create custom dimensional reports for our clients if required. It also gives us the flexibility to take the CMM out into our workshop to carry out in process measurements and verification. 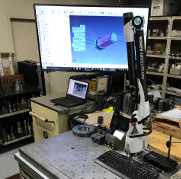 The CMM also enables us the ability to reverse-engineer parts should this be required. HES invested money into a brand new high speed machining centre, increasing our machining capacity and capabilities. This machine gives us the ability to take on the machining of Aluminium work that requires high accuracy and surface finishes. 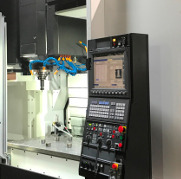 This machine is capable of producing parts for defence and aerospace industries, as well as new emerging products, such as components for new electric charging systems. Our machine is now tooled and our staff have been trained accordingly to take on this type of work. Early this year, HES upgraded its old machining centre which we have had since 1994, with a brand new machining centre. This machine has a slightly larger capacity then our previous machine, plus it comes with a factory fitted 4th axis. 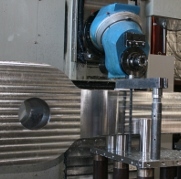 This state of the art machine is more robust and rigid, which means machining cycle times will be reduced. Hillier Engineering Services was established 18th March 1988, by Ray & John Hillier. The business was then located at 5 Project Street, Salisbury, Brisbane. The company started with 1 manual centre lathe, 1 Bandsaw and 1 Milling machine. Starting a new business during these times was tough, with interest rates at record highs of 18%. The company was producing basic components as well as high precision items and hydraulic cylinders for the agricultural and heavy haulage industries.